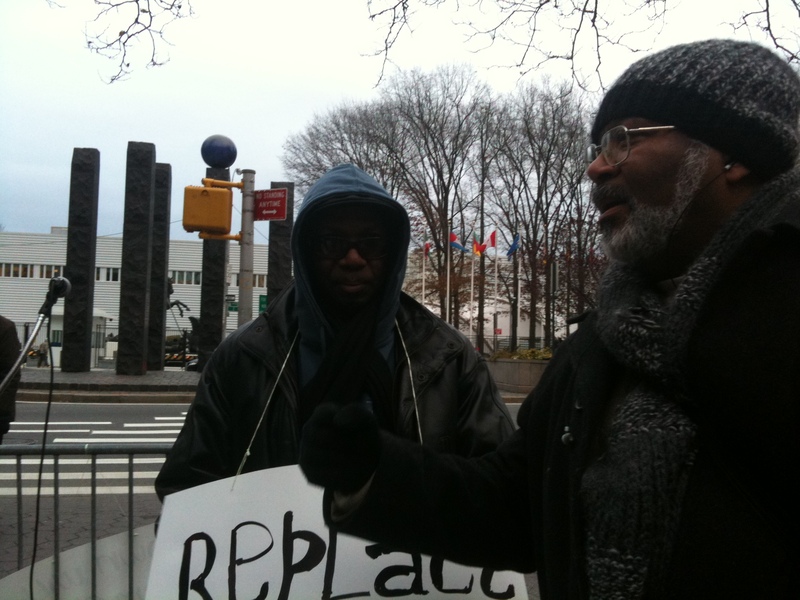 On Friday December 10th, I attended a Haitian solidarity demonstration outside of the UN on 47th Street and 1st Avenue in New York City. This is a short video from the protest. Kim Ives and Marlene Jean Noel speak about the UN occupation in their own words. The Coalition to End the UN Occupation and the Sham Elections called this meeting to demand that MINUSTAH get out of Haiti. Participants were there as early as 2pm and until 6pm. On average, there were 10-15 present at the demonstration. Although currently small in numbers, they hope this movement will build.